Brocade silk fabric is an iconic symbol of the East. For centuries, oriental ladies have embraced the elegant, mandarin-collar cheongsam dresses (Qipao) made of beautiful brocade fabrics. 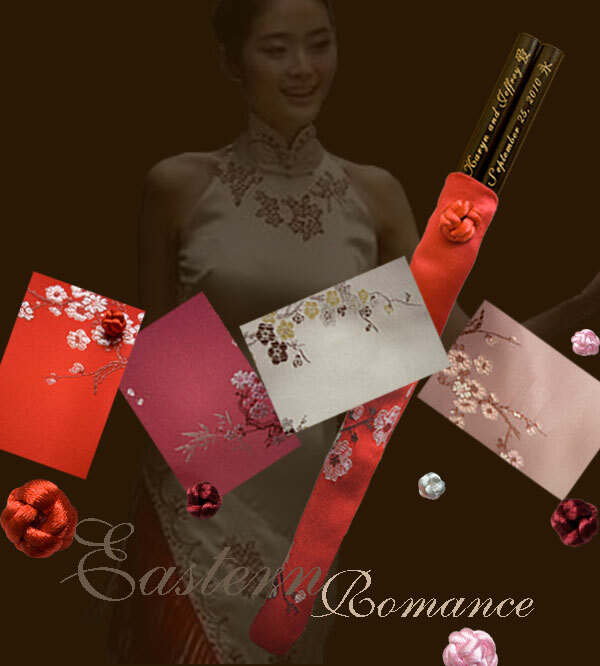 What better way to romanticize the dining atmosphere than to dress up chopsticks with brocade silk pouches! Not only will these pouches compliment your oriental dress in the special event, but they will also complete your chopsticks with a gorgeous look! These pouches are tailored to fit our entire selection of personalized-engraved as well as non-personalized chopsticks.